I have a duty to start the year by reviewing my Christmas present, Vegan Bible by Marie Laforet. I love thumbing through a recipe book on Christmas Day, and a lot of the recipes I ear-marked made it onto the table in January. There are a few porridge recipes in the book, and porridge is such a great wintry breakfast. 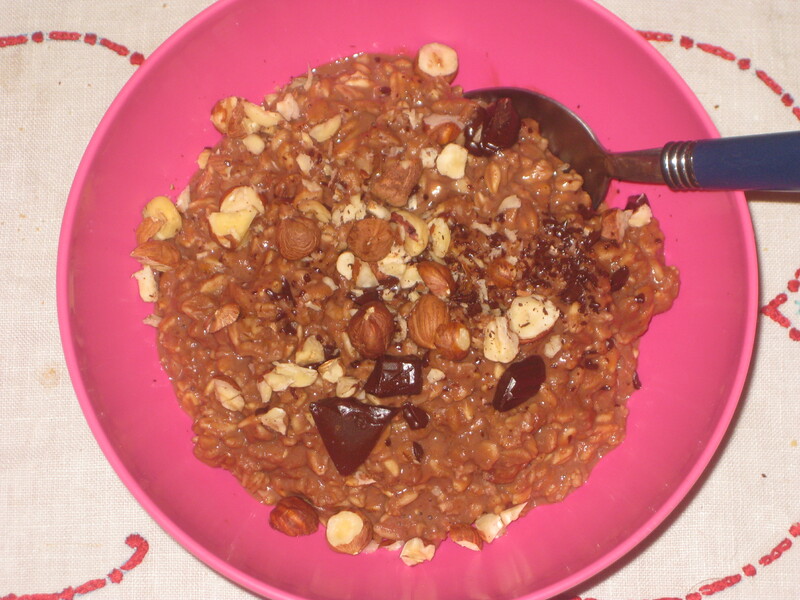 I tried the cinnamon-scented chocolate and hazelnut porridge and was surprised to find that it was a bit too much even for me. It was very tasty, but so chocolatey that it was more of a dessert than a breakfast – definitely too much for a work morning. For another indulgent breakfast, I waited until the weekend and tried the rose-scented pancakes. 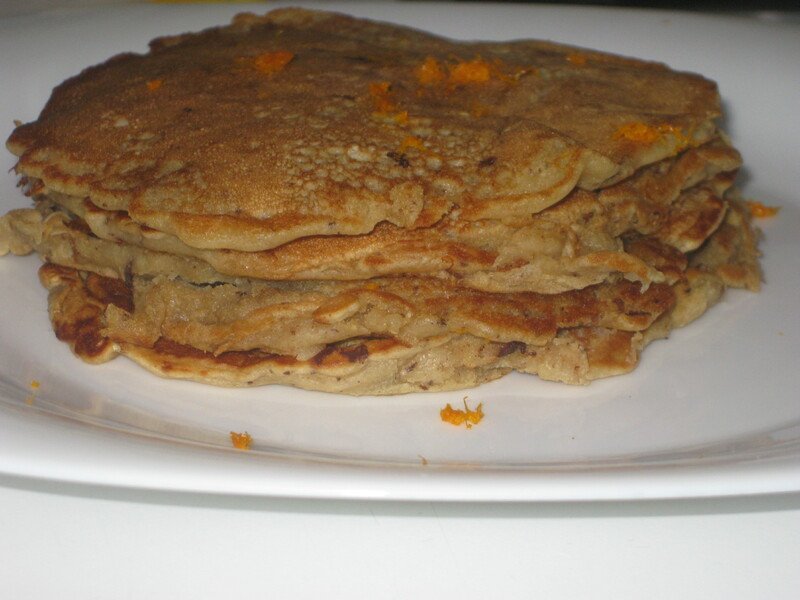 Dr HH isn’t really keen on rose flavoured food, so I replaced the rosewater with freshly squeezed orange juice and chucked in some chopped dark chocolate to make chocolate orange pancakes. And it was a brainwave, if I do say so myself! They were absolutely delicious, and will definitely be made again. In the vegan brunch section, there was a recipe for banana, chocolate chip and hazelnut scones. Rather enticing, no? The recipe itself included neither banana nor hazelnuts, though: it was for blueberry and chocolate scones. I wanted the scones of the title, so I adapted the recipe a bit and made these for a Saturday breakfast. Served fresh from the oven, they were divine. The outside was slightly crispy, and the inside was nicely gooey from the banana and the still-melted chocolate. They were sublime! 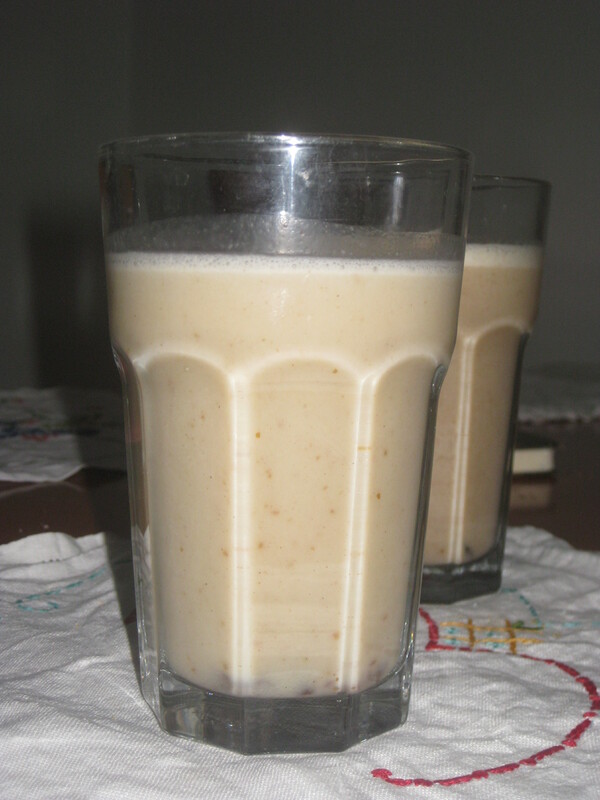 Sticking with bananas, I also whizzed up some banana and date milkshakes. It’s not a revolutionary recipe, but they’re tasty drinks. 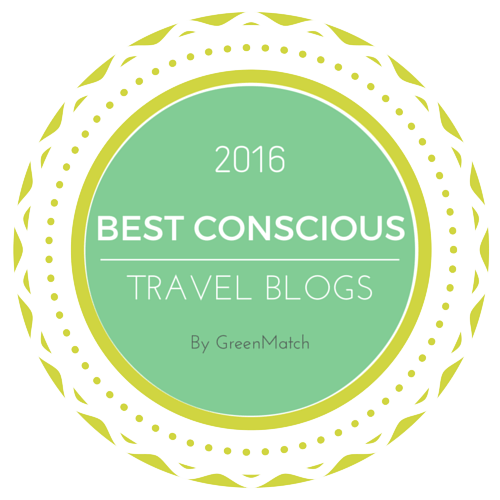 I wasn’t bold enough to try more than a spoonful of the split pea and coconut milk soup – even when it’s not bright green, I hate pea soup. Dr HH really loved it though, saying it was a bit different and the occasional chunky pea was a real treat. He also enjoyed the miso flavour (who wouldn’t?). 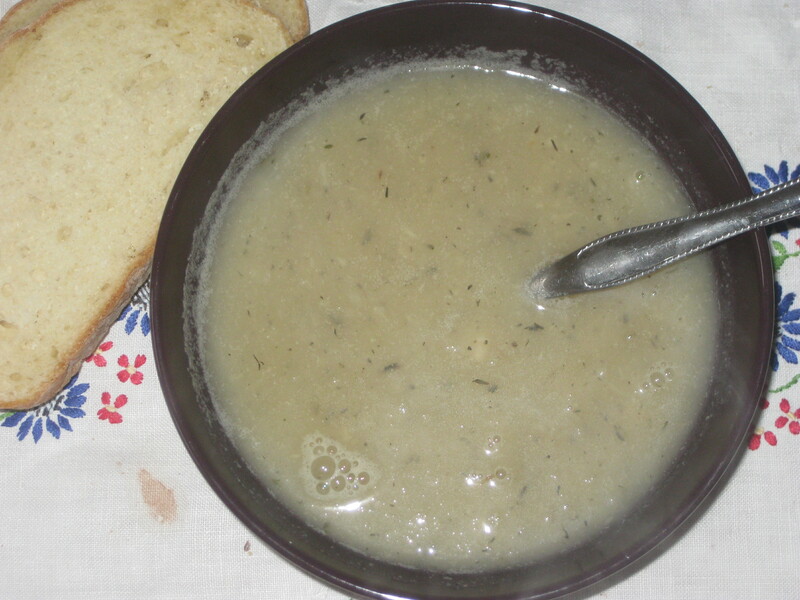 I thought the thyme-scented parsnip veloute was delicious, but Dr HH was a bit underwhelmed and thought it a pretty average soup. 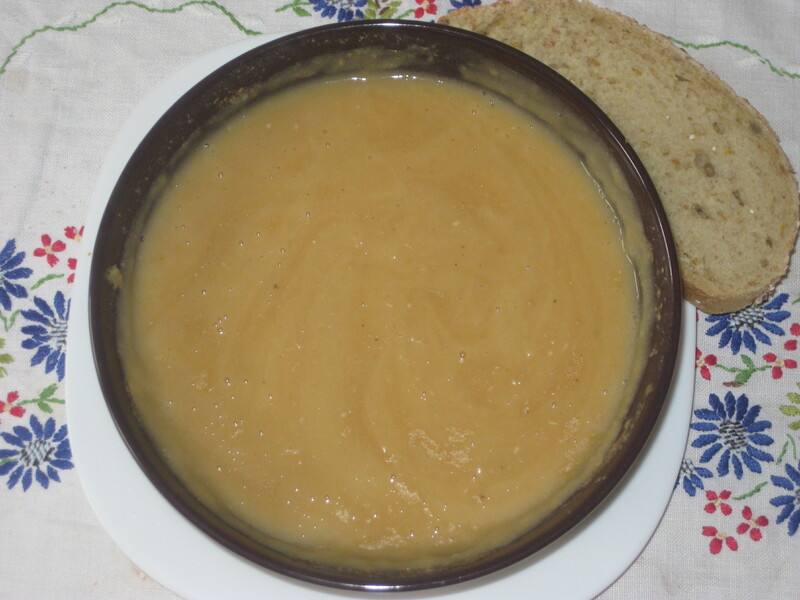 I didn’t completely blend it, as I like a soup with some good chunks in it, and added a bit extra stock to turn it into a proper soup. 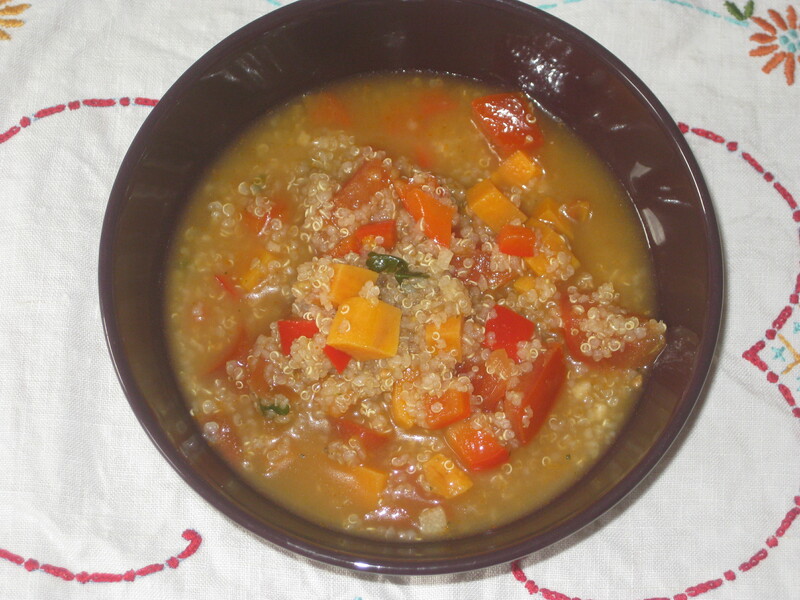 The quinoa soup looks beautiful, partly because I used a sweet potato rather than a boring old normal one. It had a lot of good stuff going on, though it needed a lot more seasoning. The creamy curried broccoli soup was nice partially blitzed, so it still had some bits in it, but I’d like to beef it up more with some potato too. I was dubious about the curry powder when I read it, but it was actually a really nice pairing and I would increase the spiciness next time. 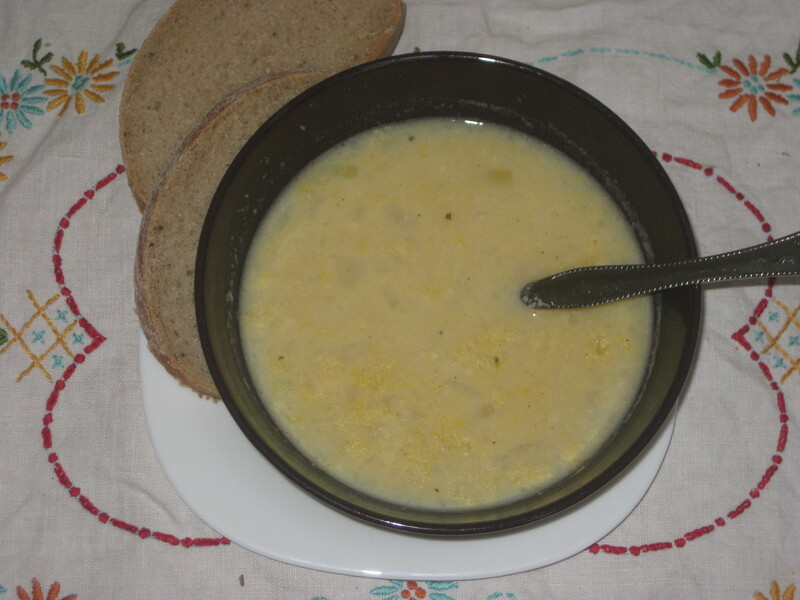 The cream of sweetcorn soup recipe looks a bit uninspired, so I followed the suggestions for the jazzier version, with chilli, coriander and lime juice. It was good! 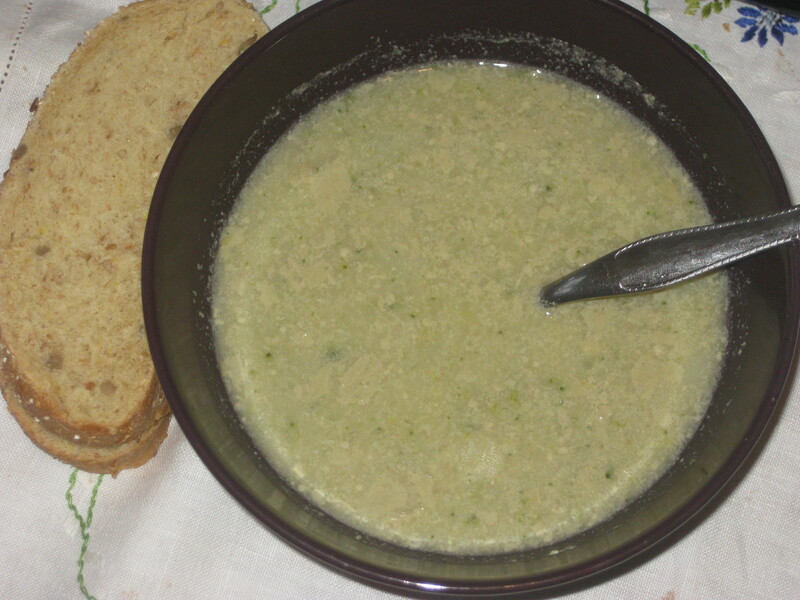 Not the best corn soup I’ve had, but not too shabby. 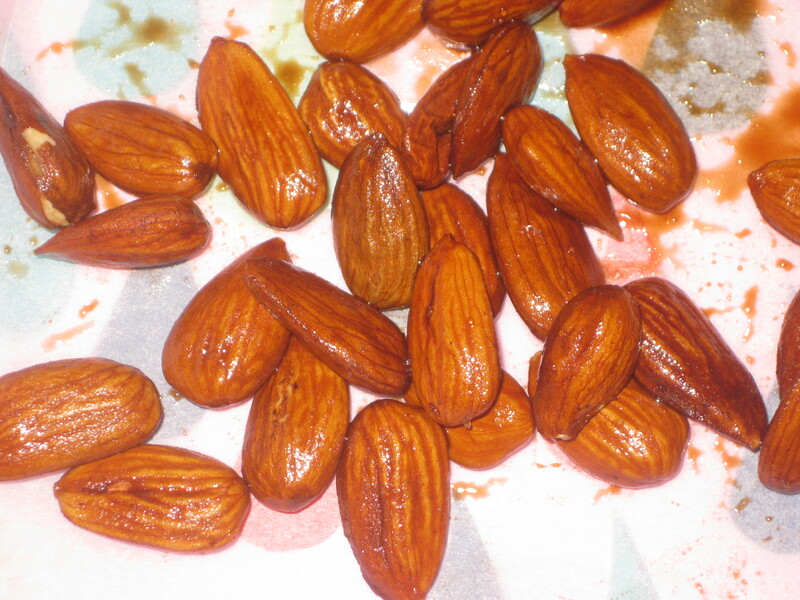 The tamari caramelised almonds are intended to go with salads, but I made some just as a snack to distract Dr HH from the non-vegan treats in the staff room. This is a quick way to make snack time a bit more exciting: really great flavours on here. 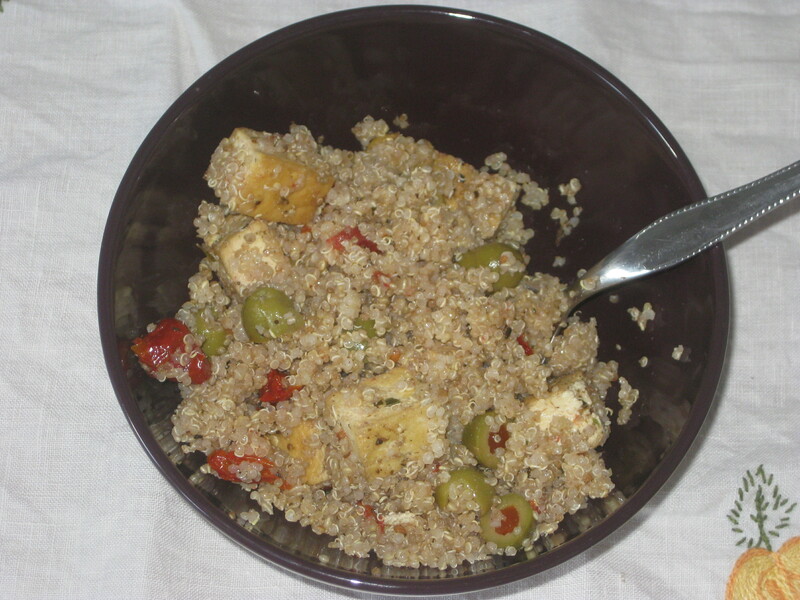 I really enjoyed the quinoa, grilled tofu, olive and sun-dried tomato salad. The tofu is fried (not grilled) with lots of herbs and spices, so it’s really flavoursome. The olives and sun-dried tomatoes give a really nice flavour to the quinoa too. A nice easy lunch. 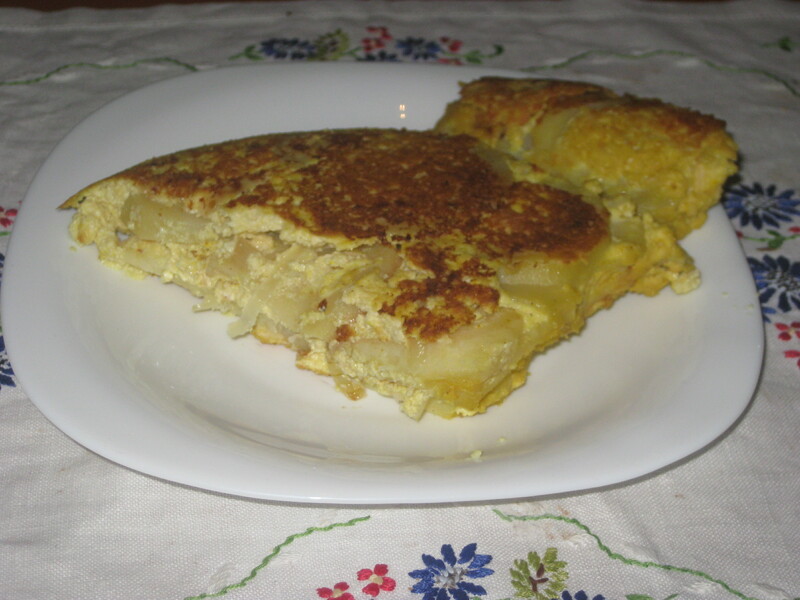 I was rather anxious about trying the tortilla (Spanish omelette). I’d never made anything like that, vegan or otherwise, and it seemed a bit daunting. It’s a combination of firm and silken tofu which worked well to create the ‘eggy’ part, but I needed to add more water to get it to a suitable consistency. The fried potato slices were fantastic! Alas, it all fell apart when I followed the instructions to flip it out onto a plate then slide it back in to brown the other side – I don’t have any plates big enough to cover my (extremely heavy) frying pan. It may have looked messy, but it tasted good, and that’s always the most important thing. 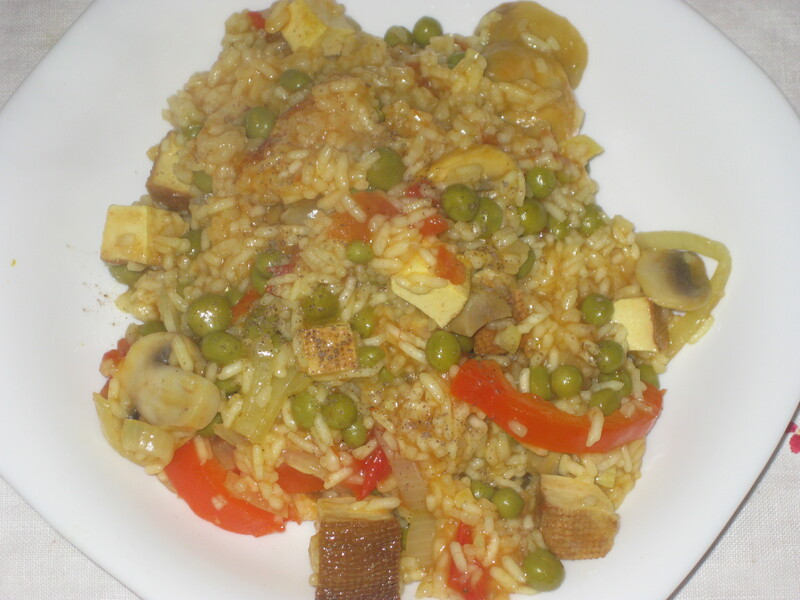 Staying on the Spanish theme, I also made paella. Rice dishes rarely blow me away, so this was solid but not life changing. My local Czech supermarket did not stock artichoke hearts, so I chucked in some sliced mushrooms instead, and they worked really nicely. The smoked tofu cubes were the real highlight. I think it needed more seasoning, as it only had the saffron (or turmeric/paprika substitute, in my case). To give it more of a seafood taste, I added some chopped up seaweed to the leftovers, and that really elevated it. 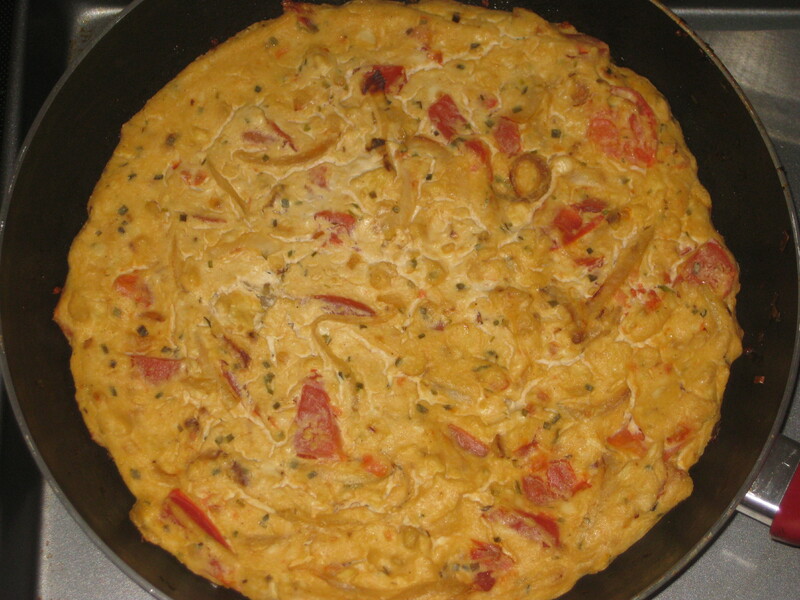 I also had a go at the tomato, onion and chive frittata. We don’t have a grill, so I put the whole frying pan in the oven to get the top cooked as well, and it was really good. I think the texture was pretty spot on, and the only thing I’d change would be to add some black salt for that eggy taste. I was less impressed with the Korean Vegetable Pancakes. The ones in Asian Vegan Kitchen are far superior. I couldn’t flip these, so I ended up folding them rather like an omelette. Dr HH was really keen on them, and they did have a nice flavour, but I wasn’t a fan of the texture and found them a bit stressful to make. 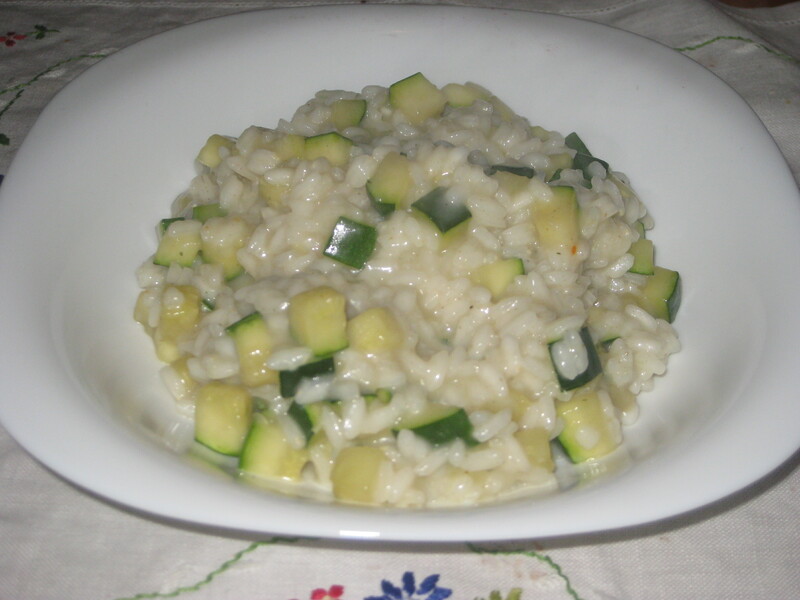 I made the courgette and coconut risotto using cumin instead of coriander, due to poor preparation on my part. It’s hard to be dazzled by a risotto, isn’t it? This was a nice meal, but unspectacular. 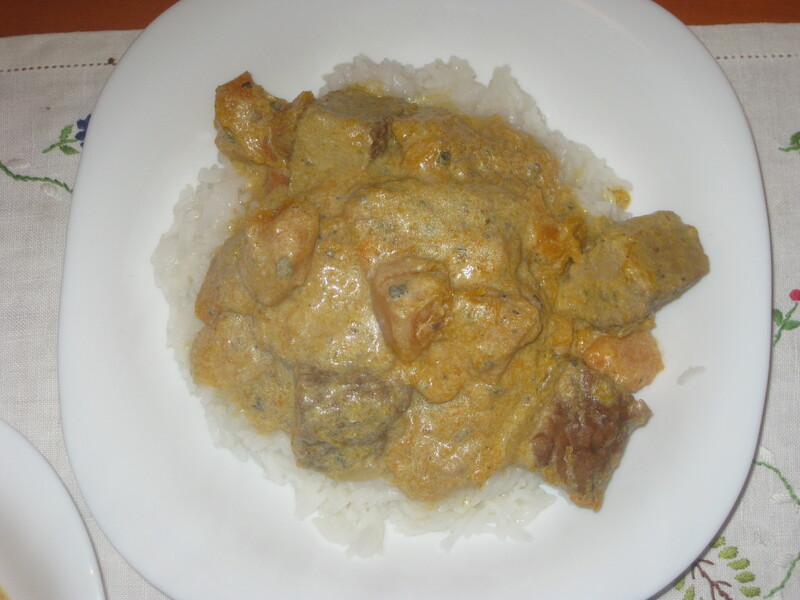 It was creamy from the coconut milk, and the courgette cubes were really good. This won’t change anyone’s life, but it’s a good solid option. I could only get my hands on smoked tempeh for the tempeh and winter vegetable casserole, which was a shame. I think regular tempeh would have been better, but it was still good and very tasty. I rarely use cream when I’m cooking, so this was quite a change for us, and it’s always nice having a small twist on familiar flavours and combinations. 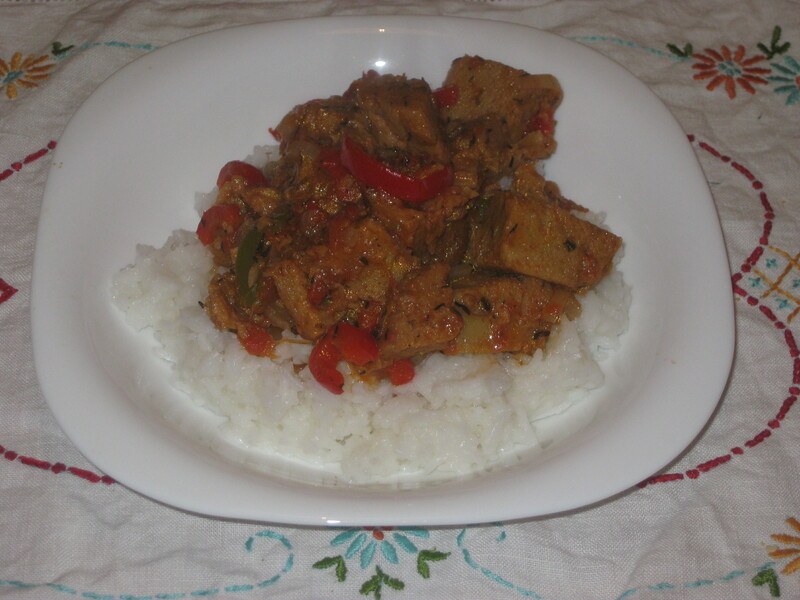 The seitan a la Basquaise was just my kind of evening meal – fast to make, tasty to devour. I love big chunks of seitan in a stew, and this was a comforting dish. 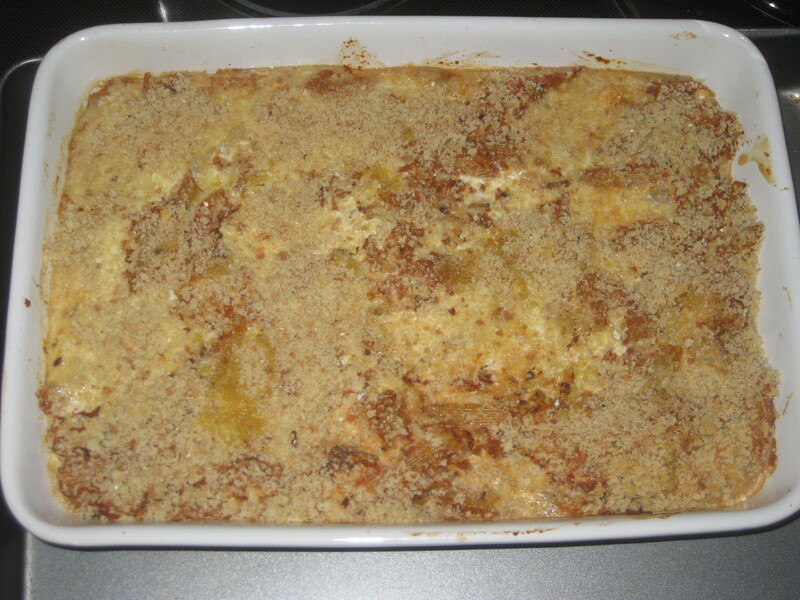 I made a few changes to the conchiglioni au gratin – primarily, switching from shells to penne, because who has the time to stuff little shells with seitan stuffing? Anyway, it was delicious, though needed a bit more passata to help all the pasta cook properly -there were a few crunchy pieces still. It was a really tasty dish, and looked a bit fancier than it actually was, which I’m always a big fan of. 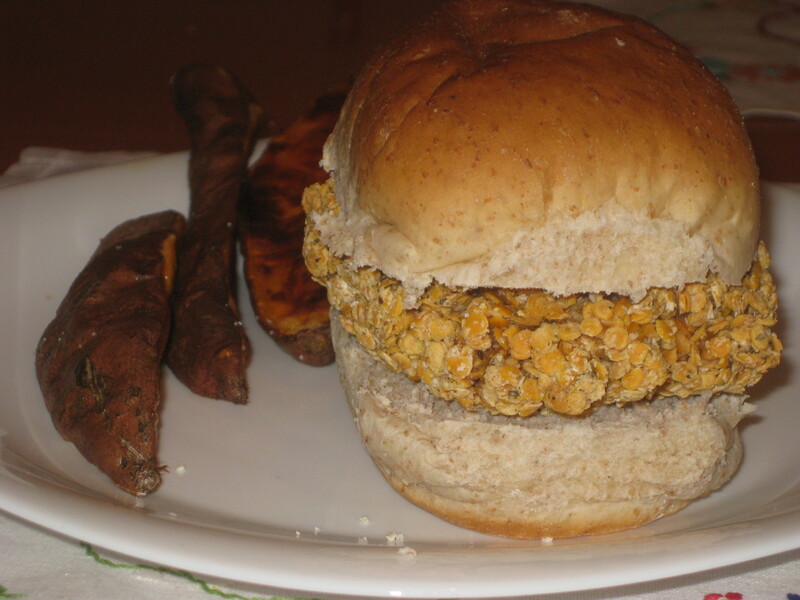 There are quite a few burger recipes in the book, and I opted for the Indian burgers first because they sounded a bit different: lentils and coconut should make for a good, if unusual burger. I cooked them in the oven rather than frying them, and they came out very dry. But also, very delicious! I’ll tinker with this recipe a bit to try to get them perfect. 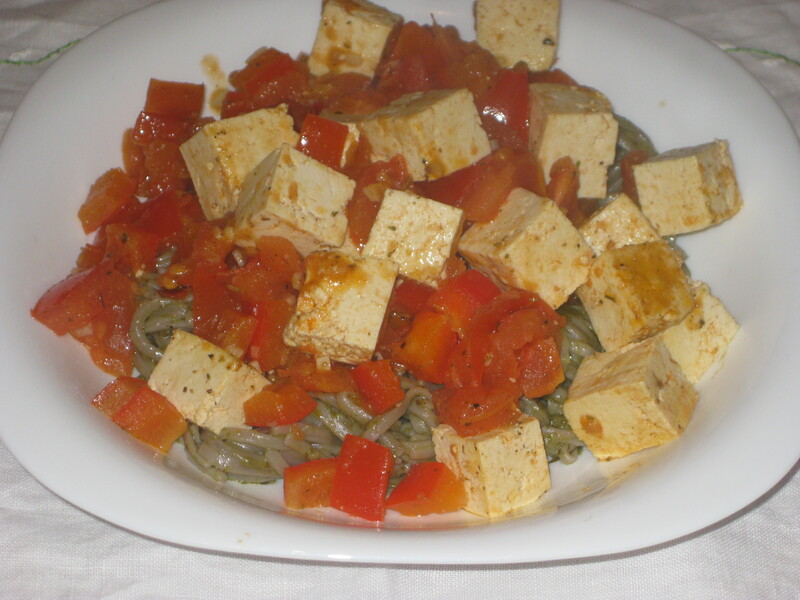 I followed the chef’s recommendation and made tofu a la provencale to accompany the soba with rocket pesto. The flavours were faultless, and you can’t go wrong with big tasty chunks of tofu. I rarely have soba noodles in, so I’ll probably make it with pasta next time. Dr HH and I celebrated our two year anniversary in January, so I cooked up a fancy meal for us one evening. 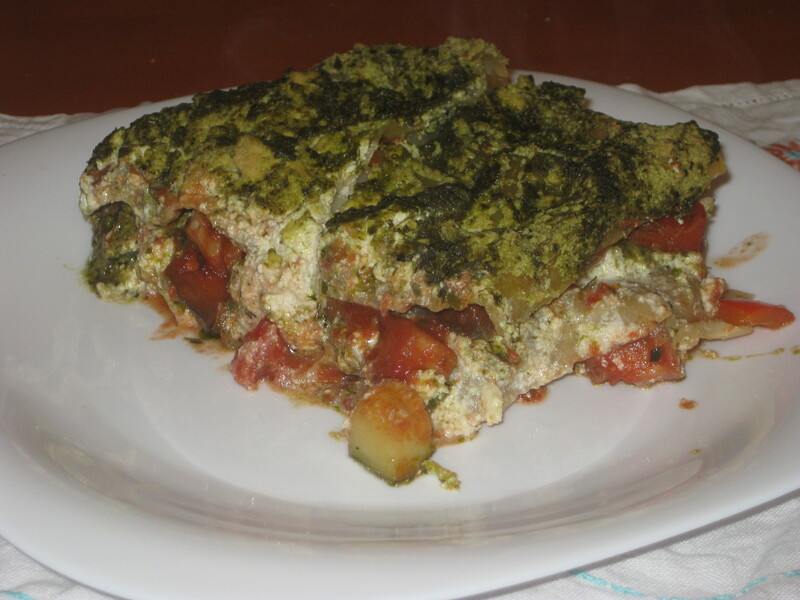 We had the lasagne with summer vegetables, ricotta and pesto, and it was delicious! It’s only the second lasagne I’ve made since becoming vegan. I used shop-bought pesto, because I had a lot of other things going on. I was worried the ricotta wouldn’t work, and I had to add a bit of extra cream to try to get it smoother, but it was perfect in the end. It was a real treat, worthy of my favourite human being on a special occasion. It was served with the roast potato, grilled courgette, Kalamata olive and fresh herb salad. I completely forgot that I was meant to be setting aside a courgette for this salad, and chucked it in the lasagne instead. But still, as a potato salad it worked well. 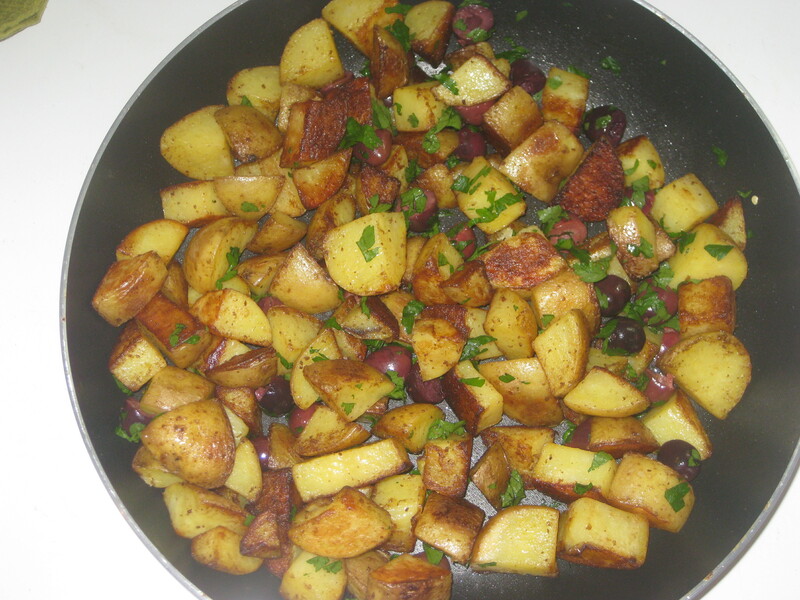 The potatoes aren’t roasted, they’re fried for a really long time – I’d probably parboil them next time. Still, it was a great side dish. 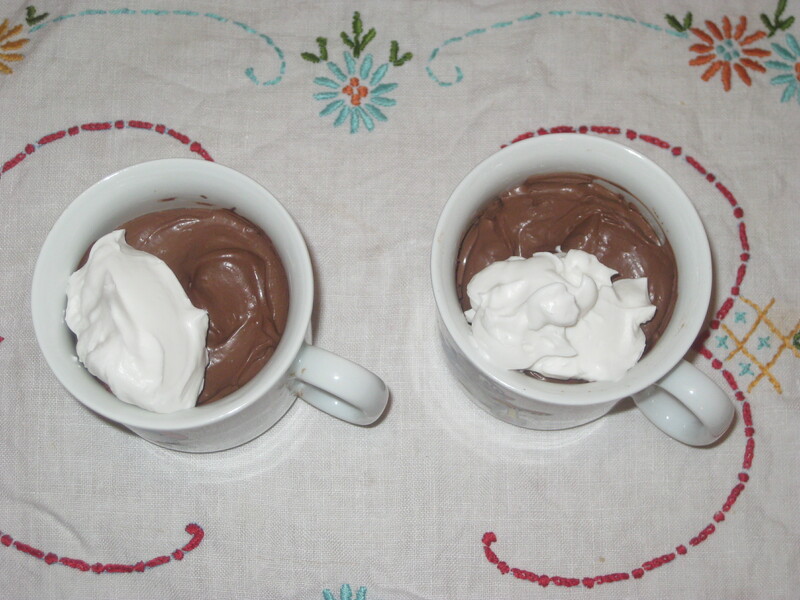 And for dessert, the fanciest-sounding pudding from the book: chocolate mousse a la liegeoise. 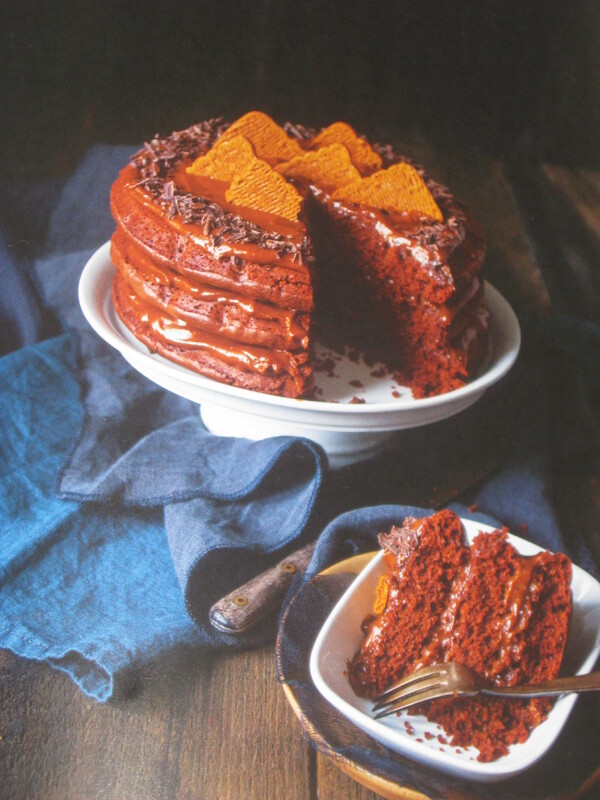 There are some seriously impressive-looking cakes and desserts in the book, and I’d love to have all the utensils, equipment and ingredients needed for some of them. This one was basically the easiest to make on a busy day – minimal effort to whip them together, and just a few hours chilling in the fridge. The end result is creamy and decadent. Its fanciness belies the ease of making it and the simple ingredients list. And I topped it with some coconut chantilly cream. Super duper fanciness, and also delicious added to a mug of hot chocolate. Not only was it our anniversary, we also celebrated Dr HH’s birthday in January. He requested a cake with more than one layer, so I chose the chocolate speculoos layer cake. You may notice some differences between its photograph in the book and the cake I actually produced. One difference is easily explained: I cut down from three layers to two, as we’re only a two-person household and don’t need to over-indulge. The other differences lead me to believe that the photographed cake is following a completely different recipe. The batter was not as liquid as I’d expect in a cake batter – it had to be spread around the tin. The recipe calls for a 25cm tin and mine was only 20cm, and the batter barely covered it. So how did they get the thick, fluffy layers in the photograph? And don’t get me started on the speculoos cream – how does theirs look the colour of chocolate when it doesn’t contain as much as a pinch of cocoa? As Dr HH reassured me while I wailed about its disastrous appearance, it’s all about the taste. And it was indeed delicious. But I feel like it’s not really the cake that was advertised. 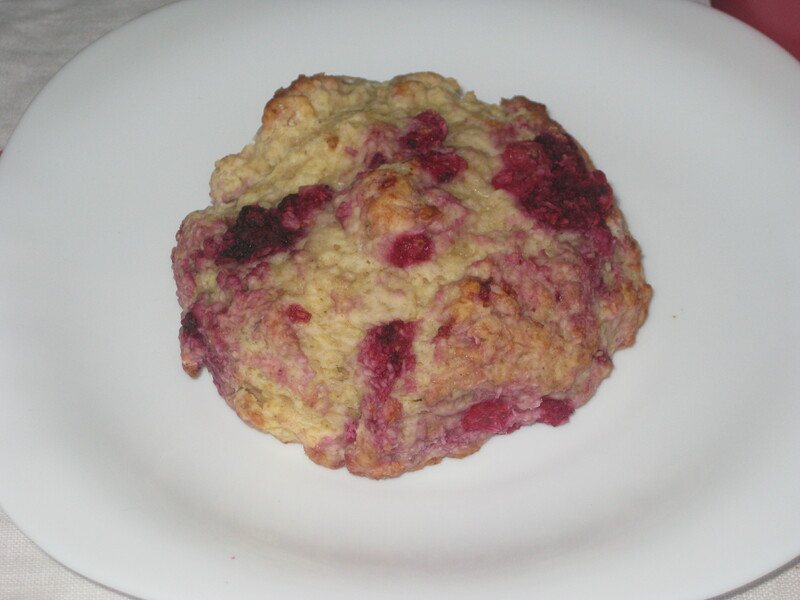 On a happier note, the raspberry and coconut scones were sublime! I love baking, but haven’t procured many tins yet in Prague, which means anything that can be made on a baking tray is automatically a winner. I couldn’t get my hands on either fresh or frozen raspberries, so I had to make do with a bag of frozen mixed berries and pick out anything attractively red. They smelt so good when they were baking, and it took all of my will power not to devour them immediately from the oven! What else can you make on a baking tray? Cookies! 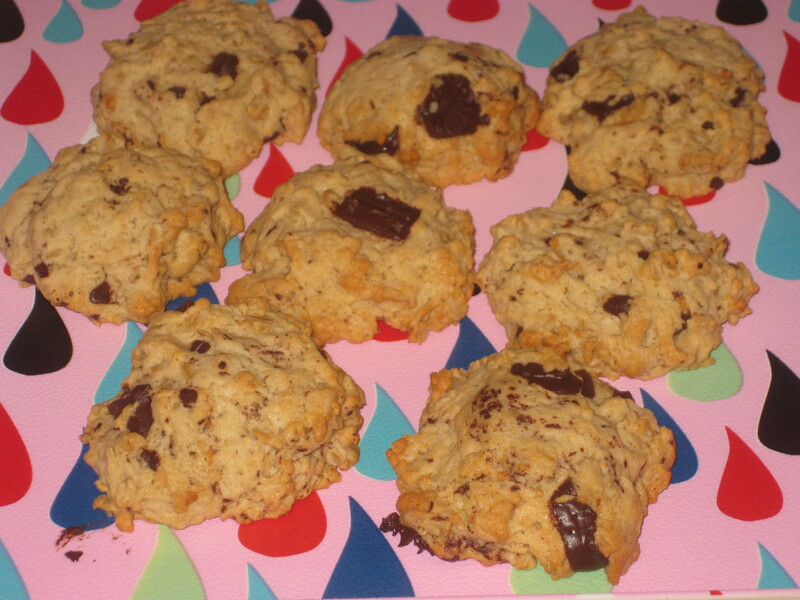 The oat, chocolate and pecan cookies were oaty, chocolaty, delicious. They’re pretty soft, so if you prefer crunchy biscuits these ones may not be for you. That’s not really how I plan my meals, so I found it quite hard work. The index also made the book tricky to navigate: there’s an ingredients index and an alphabetical index, and whichever one I looked at first came up empty. 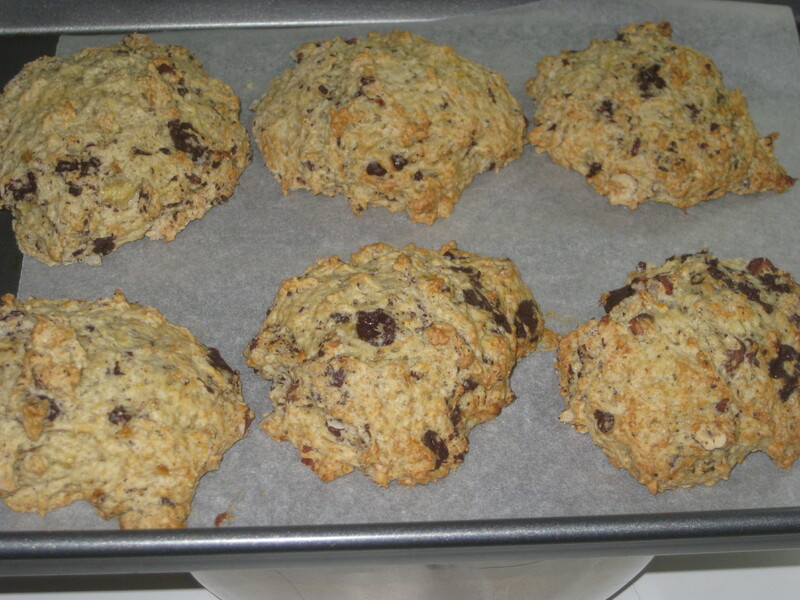 For example, the oat, chocolate and pecan cookies are not listed under cookies, or oats, or pecans. It could have been made much easier to follow. Also, some of the ingredients are a bit odd. What, for example, is lupin flour? As I use a lot of American cookbooks, I’m experienced at making educated guesses and substitutions, but it can be a bit off-putting. And then there are a few mistakes in the book, like the banana scone recipe that doesn’t contain bananas, or the chocolate speculoos cake photo that is clearly not from this recipe. I like most of the things I’ve made from it, but a lot of them were quite unremarkable. There are still more things that I’d like to try, especially for fancier occasions, but I think I’d hesitate to recommend it to people as it’s not as accessible as it could be. Only for cookbook fanatics, I’d say. 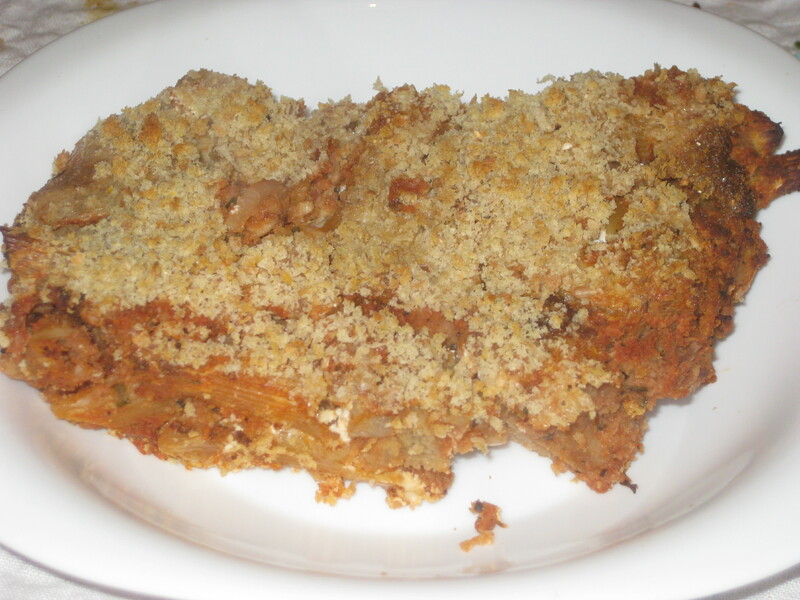 This entry was posted in Cookbooks and tagged Vegan Bible Marie Laforet, vegan cookbook. Bookmark the permalink. I’ve said it before, I’ll say it again – I think your cookbook reviews are the best out there, so thorough. It really gives me a proper idea of whether a book is worth buying. Funnily enough, I was going to ask if there are books you don’t like and whether you don’t keep them after the review – will you be keeping this one? Thank you so much! I have a tendency to cling to my cookbooks, so I don’t think I’ll get rid of this one. There are a few fancy desserts I’d still like to try, despite the chocolate cake disaster. I’m not giving up on the book just yet! This is such a great review — so thorough! Faulty indexes/indices are such a pet peeve of mine… it’s always frustrating when they’re subpar! Thank you! And agreed – it’s even worse when the sections aren’t easy to navigate. I’ve never heard of lupin flour either. Actually googling it seems that it might be used more in Europe? 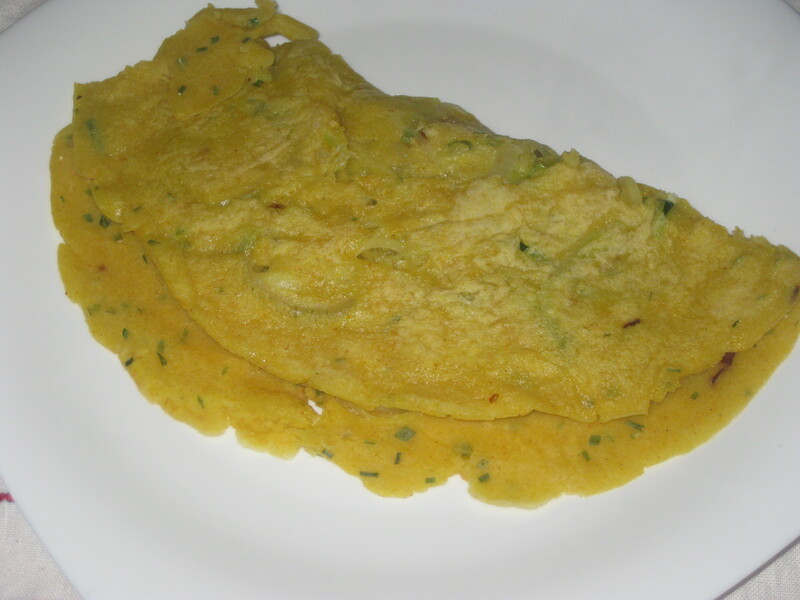 I don’t fully know, but apparently it is a bean flour, so i guess you could use besan or soya flour. But I totally agree, I hate when photos are totally wrong! Sometimes they get prettier photos by peeling things, but never put it in the directions, or use a veggie in a certain color but never write it in. *sigh* But your cake still looks yummy. Making the photo prettier than the reality just means that I feel like giving up on the book. As long as it tastes good, I suppose! 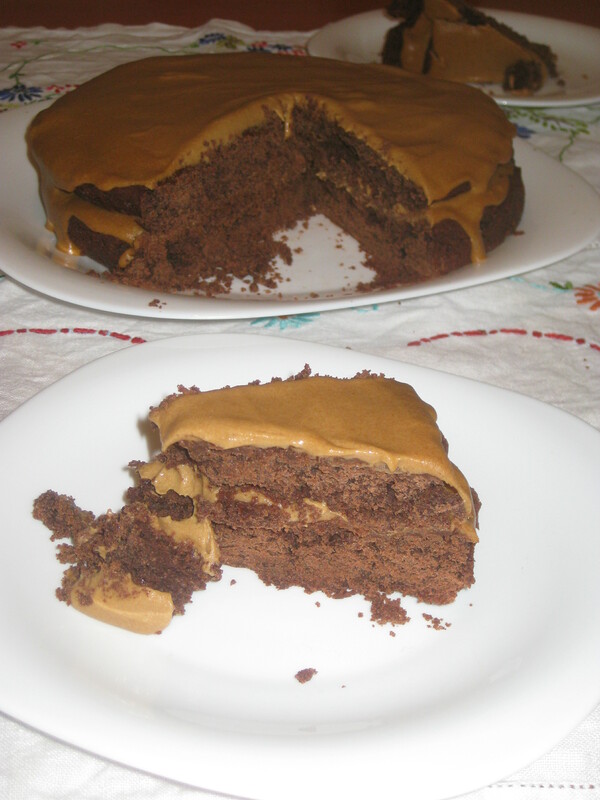 I adore you homely version of the Choc Speculoos cake, its honest and your right often the pic in the book does not reflect the result created at home. This cookbook was in my Top 5 Vegetarian cookbooks of 2015 for its creativity and originality. I think part of the reason its a little hard to navigate is the cookbook was originally in french and translated for the English speaking audience and errors are often encountered. I still like the cookbook, I think there are so many cookbooks out at the moment, way to basic and a waste of paper – this one does have lot of innovative recipes like the caviar! And in the UK gluten wheat flour is more accessible so the seitan recipes will be welcomes by many newbies. Honestly, I didn’t know whether to laugh or cry when I looked at that finished cake! You’re right that it is creative, and I love ambitious vegan food rather than basics. I’m trying to pluck up the courage to make the raspberry and rose bavarois.